While Health Canada continues to ignore its own task force's recommendations to ban trans-fats, New York is off an running. 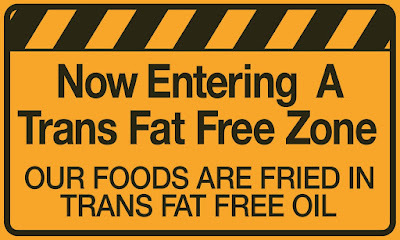 A recent report published in the Annals of Internal Medicine revealed that since their regulation in 2006 98% of restaurants are trans-fat free and that it has been a "cost neutral" shift. What's more interesting is that preliminary studies suggest that while indeed the shift from trans-fats have increased the use of saturated fats, it also increased the use of unsaturated fats, the healthy fats, leading to an overall improvement in the fat profile of trans-fat substituted foods. What this means of course is that not only is there the benefit of removing a dietary toxin from the food supply, there's the added benefit of increasing the food supply's provision of healthy fats. It's been 51 days since the two year free pass Tony Clement gave the food industry to shape up ended - and still our government does nothing.